There were years when I attended the Los Angeles Festival of Books with the eager anticipation of an avid reader who likes nothing better than to stroll outdoors and wander into open-air bookstores. Readings by my favorite authors were also an attraction. I didn’t do much people watching. 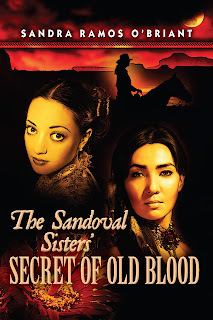 This year I dressed in period costume–a Hispana in 1840’s Santa Fe–and walked onto the USC campus armed with a pen to sign my first novel: The Sandoval Sisters. At one signing in which I participated, several authors sat at tables with the covers of their books blown up on posters and prominently displayed alongside our books and bookmarks. Families, students, seniors, bookmark hoarders and lone crazy people streamed by our table. The families, students and seniors were self-evident. The crazies were harder to identify. Later on the latter. One author yelled out at a passerby, “Sir, sir, would you like a bookmark?” The man smiled cooperatively, came over, and she proceeded to pitch him. This author sold more books than anyone else at that venue. She also varied her pitch. She explained that there was something for everyone in her book: mother, father, student, heavily medicated or in need of a diagnosis. She had an uncanny ability to determine a potential reader’s area of interest and pitch her book in that direction. She made it sound easy. I didn’t feel comfortable yelling out to passersby, but fortunately at another signing, I was the only author present. My poster of the book cover featuring the beautiful Sandoval sisters attracted plenty of people. My smiling face and period Southwestern garb–including holster–might have helped. Women bought my books­–the young and not so young–and I am most grateful to each of them. They asked good questions about the historical period and wanted to know what struggles the sisters had to deal with. Many of them had never been to New Mexico and had only read period fiction featuring England or France. One gentleman in a suit and a bowtie asked for a two-sentence elevator pitch. After I gave it to him he replied that the book had the makings of a movie and asked what actresses I had in mind to play the Sandoval sisters. When I mentioned Salma Hayek he got angry and told me she was over the hill. She has a production company and is reading the book. He told me not to sell myself short, that Salma Hayek never did anything until she married some rich guy and that I should get a Jewish lawyer to represent me. Then he pounded his fist on my book and told me he could hire a drunk hack to pound out a similar book over a weekend. “I’m done here,” I said, and told him he probably needed to get to Church. That stopped his crazy motor for a second. “Church?” he yelled. I gestured at his suit and bowtie. “Okay, well then the funeral you were going to.” He glared at me and stomped off. 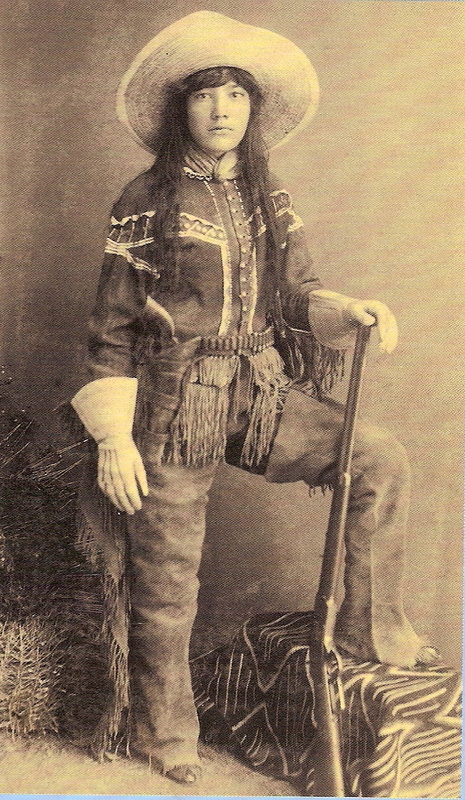 Later, an athletic-looking middle-aged woman with a masculine haircut, who might have been a women's PE teacher, was particularly enthused over a fictional account of a cross-dressing woman of the old west. She wanted to buy the book on the cowboy/girl, but the only book for sale was The Sandoval Sisters, one of whom dressed like a man in 1840’s Santa Fe. She married an older man with whom she had a happy marriage, but when widowed fell in love with her childhood best friend, Monique. This aspect of Pilar is not even a subplot, but part of the spectrum that has always colored not only the west, but Santa Fe. I thought this woman might be interested in this tidbit, but the bowtied gentlemen had knocked the wind out of my sails, and I failed to speak up. By the time another woman, also rather jockish, appeared interested in The Sandoval Sisters, I’d had time to pull myself together. 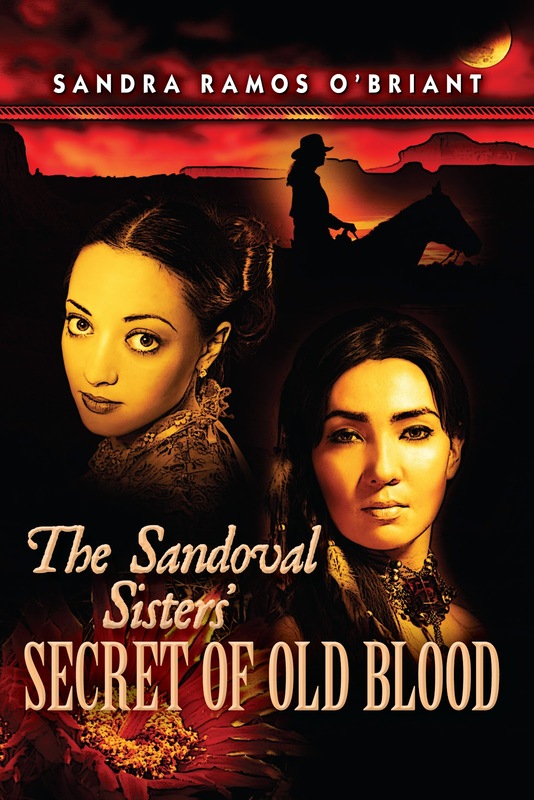 She loved the historical detail on the U.S. Mexican War, and the empowered Sandoval sisters dealing with the influx of American soldiers into Santa Fe. She took the details of the arranged marriages for Alma and Pilar in stride, and had no trouble with Pilar wearing men’s clothes for her work with horses. But when I mentioned her relationship with Monique­­, she snapped her shoulders back and looked disturbed verging on panicked. She quickly fled. I obviously need more practice in assessing reader preferences. The parents of a ninth grader came by and studied my book. Part of her homework assignment was to interview an author. I learned that history, any history, was not part of her curriculum, so we talked about Manifest Destiny and what that meant in conquering the West, and New Mexico, in particular. She asked good questions and enthused over the book saying she wanted to read it.